But in a kitchen trendscape in which light color schemes reign supreme, some might think of bulky black appliances as an eyesore rather than an asset. However, as Homedit notes in a recent report, black appliances can be sleek, modern, and practical choices that won’t drag down the look of a kitchen. These days, black appliances come stocked with an abundance of impressive features. 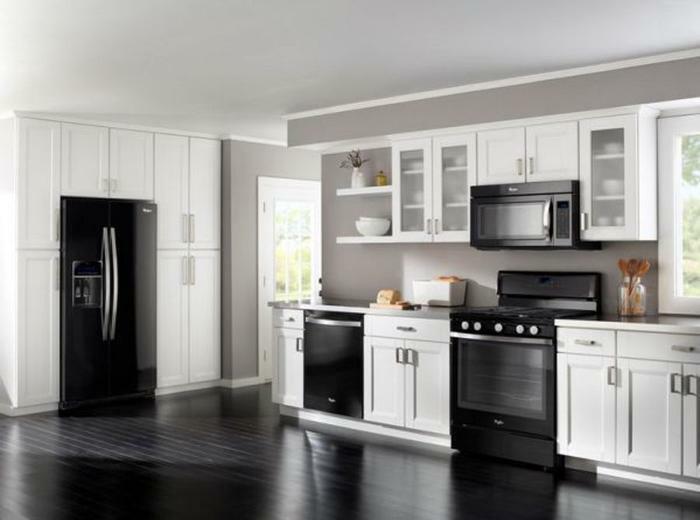 It’s what sets the Frigidaire Gallery Black Stainless Steel collection apart, says John Weinstock, senior vice president of marketing at Electrolux North America. Weinstock notes that the collection boasts “features that make preparation, cooking, clean up and organization quicker and easier while also adding sophisticated style to any kitchen design, all at an accessible price point." But while it’s easy to be enchanted by such features, it can be somewhat more difficult to decorate around black appliances. Few home decorators are looking to bog down a space with too many dark colors, but black appliances can actually help to enhance a bright space. Paint cabinets. Crisp, white cabinetry can help to offset dark appliances. For a more contemporary look, consider adding shiny chrome hardware. Brushed nickel handles and knobs can give your cabinetry a more traditional look. Choose a complementary countertop. Black granite countertops with white veins can add an upscale, modern look to kitchens with black appliances. For a more economical option, consider installing laminate or butcher-block countertops that will enhance the look of your appliances. Incorporate natural light. Natural light can be a welcomed source of brightness in kitchens with black appliances. To alter the amount and direction of natural light that flows into a space, choose white, wooden blinds with 2-inch slats. Add a bright backsplash. Install a ceramic or tile backsplash with shades of gray to help pull out the cool tones in black. White, yellow, or golden tones can help to add warmth to a kitchen with black appliances.